@_@ I just died. GORGEOUS! Personnaly, i think this foto is beautiful, but ! Common Freja isnt the apropriate model for this choice of pub..i mean she’s not that “girl”..
Wow, I almost didn´t recognize her! Whoa, same here! The commercial side of Freja. I’d really like to have a slice of that cake! she is so damn convertible. amazing woman, love that commercial. she got perfectly into that bride thing. how gorgeous, freha would seriously rock every wedding! She’s so versatile…love her. And this picture! Nice! 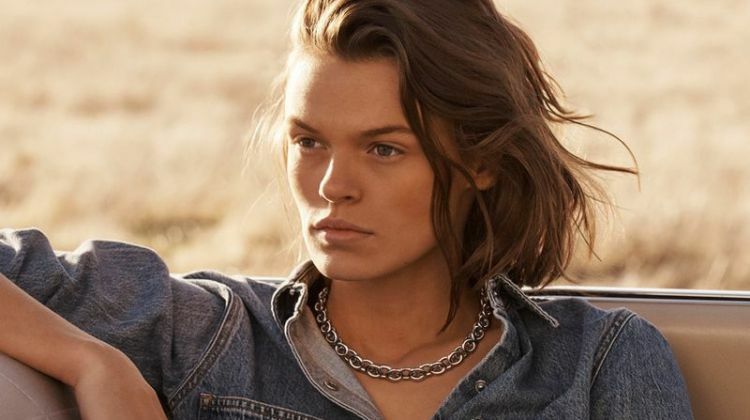 I do see now why she can’t come out in the press as a lesbian model (remember her big UK Vogue interview that didn’t once mention her sexuality?). I guess it still isn’t good for business if your modeling as the traditional bride in white. WOW! She looks unbelievable. Gorgeous. She can do ANYTHING. Extremely versatile. anyway I don’t care it’s not oficiall, everyone knows she’s so gay! Wow. Never saw such a big smile on Freja’s face. I love it!! I hope people notice that she’s extremely versatile and put her in similar campaigns/editorials in the future. Is it cheese or what ? I was thinking triangle sandwich. freja in a wedding dress and smiling? amazing!!! this is unbelievable. I guess this is what it means to be a top model. great work freja! i am not a fan of freja in the least, BUT SHE LOOKS A FRIGGIN MAZING, wow freja, way to prove me wrong!